Yes, it is a painful lot to be a poet and to love both God and man by the farthest northern seas! 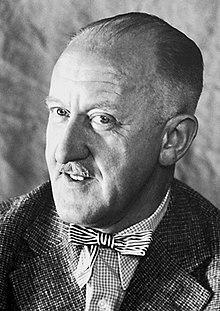 Halldór Kiljan Laxness (23 April 1902 – 8 February 1998), born Halldór Guðjónsson, was a 20th century Icelandic author who won the Nobel Prize in Literature in 1955. His mother taught him to sing. And when he had grown up and had listened to the world's song, he felt that there could be no greater happiness than to return to her song. In her song dwelt the most precious and most incomprehensible dreams of mankind. Translated by J. A. Thompson. Published in 1997 by Vintage Books. In early times, say the Icelandic chronicles, men from the Western Islands came to live in this country, and when they departed, left behind them crosses, bells, and other objects used in the practice of sorcery . . . In those days there was great fertility of the soil in Iceland. But when the Norsemen came to settle here, the Western sorcerers were forced to flee the land, and old writings say that Kolumkilli, determined on revenge, laid a curse on the invaders, swearing that they would never prosper here, and more in the same spirit, much of what has since, to all appearances, been fulfilled. People who like to display complicated technique in their verse are more given to pride themselves on their work than are those who write for their own solace. - Einar in "Shepherds' Meet"
He swore repeatedly, ever the more violently the unsteadier his legs became, but to steel his senses he kept his mind fixed persistently on the world-famous battles of the rhymes. He recited the most powerful passages one after another over and over again, dwelling especially on the devilish heroes, Grimur Ægir and Andri. It was Grimur he was fighting now, he thought . . . but now an end would be put to the deadly feud, for now the stage was set for the final struggle. Never did these thanes of hell escape their just deserts. No one ever heard of Harekur or Gongu-Hrolfur or Bernotus being worsted in the final struggle. In the same way no one will be able to say that Bjartur of Summerhouses ever got the worst of it in his world war with the country's specters, no matter how often he might tumble over a precipice or roll head over heels down a gully - "while there's a breath left in my nostrils, it will never keep me down, no matter how hard it blows." Nothing was said. And on crawled the little procession in the direction of Summerhouses, men and animals, men-animals, five souls. The pale red sun grazed the surface of the moorland bluffs on this northern winter's morning which was really only an evening. And yet it was midday. The light gilded the clouds of snow flying over the moors so that they seemed one unbroken ocean of fire, one radiant fire of gold with streaming flames and glimmering smoke from east to west over the whole frozen expanse. Through this golden fire of frost, comparable in its magic to nothing but the most powerful and elaborate witchcraft of the Ballads, lay their homeward way. Never do hymns seem so long as in the days of childhood, never is their world and their language so alien to the soul. In old age the opposite is true, the hours are then too short for the hymns. He wandered away, weeping, away from the farm and up to the rocks at the foot of the mountain, quite overpowered by the evil that seems so often to prevail in life and even to rule it. But what do you think he heard from the rocks at the foot of the mountain? Why, he heard the most delightful singing! - excerpt from the mother's story in "Of Song"
His mother taught him to sing. And when he had grown up and had listened to the world's song, he felt that there could be no greater happiness than to return to her song. In her song dwelt the most precious and most incomprehensible dreams of mankind. The heath grew into the heavens in those days. The songbirds of the air listened in wonder to this song, the most beautiful song of life. "Pray God for guidance, man. It's thirty-odd years since I sold the last copy of Orvar-Odds saga. The country stands on an entirely different cultural footing nowadays. I can recommend the story of King Solomon's Mines there, all about the hero of Umslopogaas, in his own way a great man, and in my opinion no whit inferior to Orvar-Oddur." "That's rather more than I'm prepared to believe. Some more of that damned modern rubbish, I suppose. And no one is going to tell me that that fellow you mentioned just now could have ever stood up to Orvar-Oddur, and him fully twelve Danish ells in height." They were allowed a little touch at each of the books, but only with their fingertips tonight, literature cannot bear dirty hands; first we'll have to back each volume with paper, the covers must not get dirty, nor the spines slit, books are the nation's most precious possession, books have preserved the nation's life through monopoly, pestilence, and volcanic eruption, not to mention the tons of snow that have lain over the country's widely scattered homesteads for the major part of every one of its thousand years. The most remarkable thing about man's dreams is that they all come true; this has always been the case, though no one would care to admit it. It's a useful habit to never believe more than half of what people tell you, and not to concern yourself with the rest. Rather keep your mind free and your path your own. What made Ingolfur Arnarson a great man was first and foremost his ideals, his unquenchable love of mankind, his conviction that the people needed improved conditions of life and better facilities for cultural advancement, his determination to mitigate his fellow men's sufferings by establishing a better form of government in the country . . . Middlemen and other parasites would no longer be allowed to batten on the farming classes. Ingolfur wanted to elevate the farmer's life to a position of honor and dignity, not in word alone, but in deed. Many a man may have his doubts for the moment, but when all comes to all and a long view is taken, one discovers usually that things have been making some sort of forward progress, some headway or other. And a man's dreams have a habit of coming true, more especially if he has made no particular effort to fulfill them . . . It is particularly supposed that when a man has made himself worthy of living in a real house, he will be given a real house to live in; it sprouts out of the earth for him of its own accord, they say; life bestows on the individual all that he is worthy of, and the same is said to be true of the nation as a whole. After Bjartur had become a person of great worth, even he was prone to admit on occasion that life had sometimes been pretty hard in Summerhouses in the old days, but one has to take a few knocks if one wants to get on, surely, and anyway we never ate other folk's bread. Other folk's bread is the most virulent form of poison that a free and independent man can take; other folk's bread is the only thing that can rob him of independence and the one true freedom. When they were busy molding the upper floor, it was discovered that the cellar had begun to crack. When the foreman joiner and the foreman mason were summoned, they announced that these cracks must have been caused by the earthquakes that had occurred that summer. Bjartur said that no one had noticed any earthquakes that particular summer, not on the upper surface of the earth at least. "There were earthquakes in Korea," said the foreman joiner. "Oh, well, I'm leaving here now," he told her. "They're forcing me to sell up." "And I'm not surprised," she replied. "It's that dirty old devil again, he who haunts Summerhouses and always has. And always will. Kolumkilli has rarely allowed anyone who lived in this croft to escape scot-free. I say for my part that I have never made this place my home. I have been nothing more than a lodger for the night." My children have never brought any shame upon their father. They have been independent children, my children. A man is not independent unless he has the courage to stand alone. My opinion has always been this, that you ought to never give up as long as you live, even though they have stolen everything from you. If nothing else, you can always call the air you breath your own, or at any rate you can claim that you have it on loan. Yes, lass, last night I ate stolen bread and left my son among men who are going to use pick-handles on the authorities, so I thought I might just as well look you up this morning. Isn't it funny how everyone manages to die except me? Translated by Magnus Magnusson. Published in 2002 by Vintage Books. He lay for a long time on the sand or on the grass, and wept tears of deep and fervent happiness, face to face with the inexpressible. "God, God, God!" he cried, trembling with love and reverence, and kissed the ground and dug his fingers into the turf. Often the boy was overwhelmed by an uncontrollable yearning to write down in books everything he saw, despite what anyone said—two hundred books as thick as the Book of Sermons, whole Bibles, whole chests full of books. Other children had fathers and mothers and honored them, and they prospered and lived to a ripe old age; but he was often bitter towards his father and mother and dishonored them in his heart. His mother had cuckolded his father, and his father had betrayed his mother, and both of them had betrayed the boy. The only consolation was that he had a Father in heaven. And yet—it would have been better to have a father on earth. He was not quite nine years old, in fact, when he began to have spiritual experiences . . . he felt he saw God's image open before him. He felt the deity reveal itself in Nature in an inexpressible music, the sonic revelation of the deity; and before he knew it, he himself had become a trembling voice in a celestial chorus of glory. His soul seemed to be rising out of his body like frothing milk brimming over the edge of a basin; it was as if his soul were flowing into an unfathomable ocean of higher life, beyond words, beyond all perception, his body suffused by some surging light that was beyond all light. Sighing, he became aware of his own insignificance in the midst of this infinite chorus glory and radiance; his whole consciousness dissolved into one sacred, tearful yearning to be allowed to be one with the Highest and be no longer any part of himself. He lay for a long time on the sand or on the grass, and wept tears of deep and fervent happiness, face to face with the inexpressible. "God, God, God!" he cried, trembling with love and reverence, and kissed the ground and dug his fingers into the turf. He would have died of loneliness and other things if the divine Omnipotence had not called him whenever It had the chance and invited him to become one with the radiant glory of heaven and earth. He tried whenever the opportunity occurred to obey this call and allow his soul to become one with a higher world beyond this world. He did not compose poetry openly now—his first experience at that had taught him a lesson; he resolved not to compose poetry openly until he was grown up and living among good and high-minded men, whom he imagined must exist elsewhere. But that did not stop him composing poetry; he composed just for himself now. Sometimes he scratched out a whole verse on the ice. He committed to memory every scrap of poetry he heard, and absorbed everything to do with knowledge, and was determined to write it all down in books later on—you see, he had the idea that there were too few books in the world, and that somewhere in the world there were people waiting impatiently, hungry for more books to be written. Thereafter, when he himself was dead, he imagined that his poems would be published in some mysterious way, and the nation would read them for comfort in adversity, as it had read the poems of other poets before him; it was his highest wish that his poems could help those as unfortunate as himself to have patience to endure. The love which demands nothing but beauty itself and lives in selfless worship . . . is the love that no disappointment can ever conquer, perhaps not even death itself (if that existed). [T]ime passed and there was really no romance in life anymore, only the tedious tranquility of marriage without excitement or curiosity, the dull routine of making a comfortable living with nothing to nourish the imagination. In reality, no one had meant anything by talking to the parish pauper, none of them cared at all, no one even thought of carrying him downstairs to let him see the wedding like other folk; he was not allowed to see the wedding that he himself had brought about with his poetic talent—such is the lot of poets. [T]o anyone who weeps, life has some importance. The boy felt now that no injustice could ever be victorious in his life in the future. He would never forget this presence, and even though he might never live to see another happy day, he was now more than ever determined to make his life an unbroken echo of what he had perceived when he was young, and to teach other men in poetry what he had learned in sorrow . . . . It was certainly true—this boy had perhaps become a little disappointed in people, he had instinctively believed that people were more perfect than they actually are; in childhood, one cannot help believing this. Although grace comes from above, that is not to say that everyone has the ability to accept to it. "Really," said the poet, without enthusiasm. "Mm—you say 'Really,' young man?" said the secretary. "That is undeniably a rather peculiar reply. Might I ask what you mean by that word?" "I mean that I'm such an insignificant poet that it isn't worthwhile getting me to compose a poem," said Ólafur Kárason modestly. The secretary gave the poet a stern and searching look and finally said, "I no longer understand young people nowadays. It's as if nothing serious or important makes any impression on young people any longer. The modern craze seems to be to squander money needlessly if possible. But luckily it isn't possible. Even you, young man, who are said to have a poetic bent, yes, and some say you even possess a modicum of intelligence, you just say 'Really' when you're invited to take part in a ceremony which is destined to revolutionize the religious, scientific, and moral life of the nation." "Really?" repeated the doctor. "Are you saying Really? What d'you mean? What a damned fool you are, boy. It can cost you dear to say Really, let me warn you. Drink up, or I'll tie you up and pour [this brennivín] down your throat." He came to a halt in a hollow and got his breath back. He felt himself freed of a great burden by getting out of sight of other people. The previous days and nights had been eventful, and he had lost himself. But now he was sure he would find himself again, like a dead man who finds himself, little by little, in the next world. In spite of everything, and although he was in reality a newborn babe in this new world, it was delightful to be born anew and to own a share of the sun like others instead of having to wait half the year perhaps for one little ray of sunshine . . . . No, there's probably no way of making something cease to exist once it has come into existence. He was no longer afraid of the immortality of the soul, that doctrine which for a time had seemed to him the height of human cruelty. Today it was the many and various abodes of the Creator which enchanted the mind . . . . and death did not exist. The correct understanding of life, let me tell you, is love despite everything. Love despite everything, that is the aim and object of life. Love, you see, is the only thing that pays in the long run, even though it might seem a dead loss in the short run. He wrote down everything he saw and heard, and most of his thoghts, sometimes in verse, sometimes in prose. It could take him many hours to write in his diary a survey of one full day: everything was an experience, any noteworthy observation which some nameless person might make was a new vista, any insignificant piece of information was a new sunrise, any ordinary poem he read for the first time was the beginning of a new epoch like a flight around the globe; the world was multiform, magnificent and opulent, and he loved it. Everyone always believes everything nasty of everyone else, and especially if it's a lie. And so it went on, day after day. This was not the first time that those who had at first smiled at him turned their backs on him and began to think of themselves isntead of thinking of him. Sometimes it was as if you understood people's souls; a few days later, you understood nothing. One day you were kissed, and it meant everything; next day, you were not kissed . . . . He consoled himself by looking at his exercise books with the poems approaching the thousand total soon, and more. Perhaps the world would some day understand that the heart existed. Some day. Do you know that these mountains you're looking at don't really exist at all? Or can't you see that they belong more to the sky than the earth? All this enchanting blueness which enthralls you is an illusion. 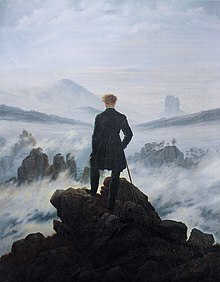 They walked together like that all night, and there was no night, just a slight unreality, a momentary trance, with mist here and there as if the landscape were about to dissolve, and then nothing dissolved and the mist had vanished again. There was a crimson glow on the highest mountain ridges, and shining birds swarming in their thousands over the flame-gilded, mirror-smooth sea. And they went on talking together. Ólafur Kárason had no perception of the passing of time; only that voice with its dark, silk-edged, golden tones reverberated through his consciousness. When a man has lost what he loves most, there is no need to write poetry; the timber of a man's voice expresses all the poetry of life. I came to you a crossbearer on a stretcher and an outcast from humanity, and I went from you a conqueror of life. I don't know how to lie. But I don't know what truth is, either. I always try to speak the way I think will cause least trouble to God and men. Oh, it's so good to be dead! But whoever thinks that beauty is something he can enjoy exclusively for himself just by abandoning other people and closing his eyes to the human life of which he is part—he is not the friend of beauty. He ends up either as Pétur Þríhross's poet, or his secretary. He who doesn't fight every day of his life to the last breath against the representatives of evil, against the living images of evil who rule Sviðinsvík—he blasphemes by taking the word beauty into his mouth. Was this perhaps life, then?—to have loved one summer in youth and not to have been aware of it until it was over, some sea-wet footprints on the floor and sand in the prints, the fragrance of a woman, soft loving lips in the dusk of a summer night, sea birds; and then nothing more; gone. You should deny facts if they're inconvenient. There's no creature on earth so despicable and loathsome as a rich man with a conscience. It was not much fun being called a ghost for more than two hundred years, and each time a calf fell into a pool or a cow went dry or the roof fell in on people, it was always that damned ghost. How is one to have any respect for the world where nothing else matters except who can lie the most plausibly and steal the most? I didn't expect you to have learnt to smile yet. When one is born, one only knows how to cry. It's only very gradually that one learns to smile. This summer which was now passing—never had anyone lived such a summer! Nature had given him the happiness of a blossom. She gave him love and a palace, and put precious poetry into his mouth; it was all one long, unbroken romance. And now everything was lost, his poems, his love and his palace, withered, burnt; forlorn and helpless, he faced the desolation of winter. It is both more difficult and more complicated to die than people think. Even though the soul craves for nothing but extinction and oblivion forever, the body is a conservative master which will not give up until the very end. To be a poet is to be a visitor on a distant shore until one dies. Hauling fish from the sea—what endless toil. One could almost say, what an eternal problem. The worth of any deed depends on how it is assessed by the onlookers . . . once you have made yourself look ridiculous, you go on being ridiculous whatever you do, perhaps for the rest of your life. Work on the one side, the home on the other—they were two walls in the one prison. The Voice began to echo at once. It was the same Voice of old. The difference was that when he was a child he thought he knew what it was, and that he understood it, and he gave it a name; but the older and wiser he became, the more difficult he found it to say what it was, or to understand it, except that he felt it called him away from other people and the responsibilities of life to the place where it alone reigned . . . Ah, sweet Voice, he said, and filled his lungs with the cool evening breeze of the north, but he did not dare open his arms to it for fear that people might think he was mad. To be a poet is to be a visitor on a distant shore until one dies. In the land where I belong, but which I shall never reach, individuals have no cares, and that is because industry runs by itself without anyone trying to steal from others. My land is a land of plenty; it is the world that Nature has given to mankind, where society is not a thieves' society, where the children aren't sickly but healthy and contented, and young men and women can fulfill their aspirations because it is natural to do so. In my world it is possible to fulfill all aspirations, and therefore all aspirations are in themselves good, quite unlike here, where people's aspirations are called wicked because it isn't possible to fulfill them. It's you who are strange. Talking to you is like talking to someone who has no shadow. Icelanders! You are the descendants of Nordic vikings! Down with Irish slaves! It may well be that fighting is normal, like having something to eat. Peace, on the other hand, is a luxury. It is justice, not love, that will one day give life to the children of the future. The battle for justice is the one thing which gives human life rational meaning. Tonight when I listen to our voices in this strange calm which is touched with the presence of death, even though the breeze is rustling so innocently at the door and the roof, I feel as if we were two gods on the clouds of heaven, with mankind dying between us. You have fettered yourself of your own free will, man—break the fetters! My image will soon be obliterated; it was only an illusion. But even though I may fall, even though my image may be obliterated, there is one thing that will never fall and can never be obliterated, and that is the yearning of those in chains for liberty. They thought I was an Icelander! But I'm no Icelander, s'help me! You can take everything from me except the freedom to look up at the sky occasionally. "You say 'Really,' you damned fool?" said the bailiff. "Maybe you'll live to pay for that word in full before we are finished." "D'you say 'Really'?" said the Gentleman. "How dare you day 'Really' here in the south?" The God of the Jews was an absolute God, who believed in other gods himself, to be sure, but forbade me to obey them, contrary to our own beliefs in the North. We have many gods and obey them all, and they us, the god of the sea and the god of the land, the god of thunder and the god of poetry. When Icelanders were worthy of the name, it was considered an accepted duty to avenge with the sword the sort of crime you have committed against my family. It's a bitter thing to be living at a time when one many not challenge to single combat the man who has disgraced one's family, and carve a blood-eagle on his back! I've never had a grandmother, a great-grandmother, nor a great-great-grandmother. I never even had a mother. I have certainly missed a great deal of love thereby, but fortune has compensated me by not giving me the capacity to hate anyone, neither nations nor individuals. If candlesticks and church bells have been plundered from my ancestors, then I'm only grateful that I'm so ignorant about genealogy. The Icelanders never got anything in exchange from the Danes except hunger. A married man has only one duty towards his wife in order to make her happy, and that is to ensure that she is constantly pregnant, and with a child in her arms. The poet felt completely free now as he stood there on the deck in his collar and boots, sailing past new and ever newer districts; even if he did not own this land's resources, he owned its beauty. Once upon a time these two men had been in the same situation; now the difference between them was like the difference between a wish and its fulfillment. The one was what the other had dreamed of, and therefore they did not know one another anymore. He who has wishes yearns for a friend; but when the wishes have been fulfilled, the friends are the first thing we forget. Was all human endeavor then, even the beautiful of the world, of so little consequence compared with murder? If I have a face that rejoices in God's grace, my brother, it is because I have learned more from those who have lived within these [prison] walls than from those who live outside them. I have learned more from those who have fallen down than those who have remained upright. Over us human beings there hangs an awful sword of justice. Ólafur Kárason had always kept to himself and did not interfere in other people's affairs; it sometimes also happened that he was not very familiar with his own affairs. Every transgression is a game, every grief easy to bear compared with having discovered beauty; it was at once the crime that could never be atoned and the hurt that could never be assuaged, the tear that could never be dried. As a child he stood by the seashore at Ljósavík and watched the waves soughing in and out, but now he was heading away from the sea. "Think of me when you are in glorious sunshine." Soon the sun of the day of resurrection will shine on the bright paths where she awaits her poet. And beauty shall reign alone. Translated by Philip Roughton. Published in 2003 by Vintage Books. There was a time, it says in books, that the Icelandic people had only one national treasure: a bell . . . When the king decreed that the people of Iceland were to relinquish all of their brass and copper so that Copenhagen could be rebuilt following the war, men were sent to fetch the ancient bell at Þingvellir by Öxará. Jón Hreggviðsson said that he himself never read except when he was forced to do so, though he had learned from his mother all the necessary sagas, ballads, and old genealogies, and he claimed to be descended from Haraldur Hilditönn, the Danish king, on his father's side. He said that he would never forget such excellent ancients as Gunnar of Hlíðarendi, King Pontus, and Örvar-Oddur, who were twelve ells high and could have lived to be three hundred years old if they hadn't run into any trouble, and that if he had such a book he would send it immediately for free to the king and his counts, to prove to them that there had indeed once been real men in Iceland. These people, who have since antiqui possessed the most distinguished litteras in the northern part of the world, choose now to walk upon calfskin or to eat calfskin rather than to read the old words written upon calfskin. It's an honor to be beheaded. Even a little churl becomes a man by being beheaded. The raven is the bird of all the gods. It was the bird of Odin and the bird of Jesus Christ. It will also be the bird of the god Skandilán, who has yet to be born. Whomever the raven rends attains salvation. He wandered for a long time along the canals and over the bridges . . . Steam rose from one boat where men were heating their tea water. He shouted to them and asked them to give him some tea. They asked who he was and he said that he was from Iceland, where Hell is. They invited him out to the boat and gave him something to drink and questioned him about Mount Hekla. He said that he was born and raised at the foot of the mountain and for that reason was called van Hekkenfeld. They asked whether a man could see down into Hell from the summit of Hekla, through the swarm of noxious birds that hovers eternally, shrieking and quarreling, over the crater. He said no, but added that he'd once caught one of these birds with a hooked pole that he'd brought with him up onto the mountain; they were similar to ravens, he said, except for their claws and beaks, which were iron. They asked whether such birds could be eaten and he laughed at their foolishness, but said on the other hand that one could use the claws for hooks and the beak for a pick. The fire's hottest for the one who burns himself. Gold is precious because it resembles the sun. Silver has the light of the moon. Because there are indeed women in Iceland, it will now be proven to you, you ugly wench, that there are also men in Iceland! He called out for the others, but they were nowhere near. He tried to run, without knowing which way to go, but his legs were sluggish and the earth stood on end; in the next instant he found himself lying horizontal, his cheek in the dirt, without having felt himself fall. Then the earth tilted away from him again. He tried to walk steadily, but the earth continued to surge. Finally he sat down beneath a house-gable, leaned his back against the wall, and waited until the earth settled back in its place. He drooped his head and mumbled about his forefathers . . . In the end all he could do was start to sing the sad passion-hymns and death-prayers his mother had taught him in his youth. You Danes really are a sorry lot if you think that the day will dawn when you'll get hold of Snæfríður, Iceland's sun. The truth displayed in a good life is the fairest of images. When I was in Bessastaðir I had a jug of water—and an ax. A well-sharpened ax is a fine tool. On the other hand I've never been fond of the gallows, and never less than when I wrestled a hanged man. I've never known justice to be used for anything other than the taking of poor men's lives. That's why I'm begging you, since you know how to speak to great men, to protect Jón Hreggviðson from justice. All creation complains and moans, my dear lord Commissarius. Complaint is its distinctive sound. When I was young and walked along Breiðafjörður I never would have thought that such a wide variety of people inhabited the world. Here were many folk from the numerous city-states and counties of Italy: Milanese, Napolese and Sicilians, Sardinians, Savoyards, Venetians and Tuscans, along with the Romans themselves; here one could see the peoples of the six Spanish kingdoms: the Castilians, Aragonese, Catalans, Valencians, Majorcans, and Navarrans; gathered here were envoys from the different nations of the Empire, even from the nations that had adopted Luther's reforms: Bavarians, Germans and Croatians, Franconians, Westphalians, Rhinelanders, Saxons, Burgundians, Franks, Walloons, Austrians, and Styrians . . . I saw people from nations I knew nothing about, their countenances, the textures of their clothing, their grimy faces and their eyes filled with passion and tenacity. Most often, however, I found myself thinking about their countless feet, bare or in shoes, mostly certainly tired, yet somehow lively and hopeful; and the old crusade-dance that resounded through their musica: 'Fair are the fields, cloudless God's sky.' And suddenly I realized that Guðríður Þorbjarnardóttir was gone. Not a single Icelander remained. It's both ludicrous and embarrassing to recall one's youth. A man's conscience is an unsteady judge of right and wrong. If there's one thing I despise, it's brennivín . . . [T]here no longer exists within me a single spark of longing for brennivín. When has human fortune ever been regarded as something better than a crime, or been enjoyed in any other way than in secret, directly contrary to the laws of God and man? Dear Snæfríður, is it not clear to you how disastrous your words were, when you said just now that you do not fear the eye of God watching over you? Icelanders are grateful to meet foreigners who have heard of their country. And even more grateful to hear someone say it deserves better. It was a rather beggarly set of authorities that reinstated the charges against Christ's tenant two days later at that dreary place, Þingvellir by Öxará. Even the Danish proxy's booth was a shambles, as if the royal power no longer gave any thought to protecting its image of authoritarian splendor against Iceland's storms of wind and rain, which were so inseparable from its folk, crooked and frostbitten pieces of timberwood in the shape of humans. Iceland's weather was a mill that left nothing unpulverized but for the country's basalt peaks. It uprooted and demolished all human works, wiping away not only their color but also their form . . . The high court was convened in the dilapidated cottage that had once been called a courthouse. Its roof had been torn off, giving wind and rain free range throughout the hall. Mire that had run from the turf walls onto the rotten floorplanks hadn't been mucked out. Inward along the floorboards hobbled Jón Hreggviðsson from Rein, gray-haired, groaning, and puffing. As a rule, the only way that anyone could escape from the castle of Bremerholm was through a dead-end opening: namely, the grave. When's there ever been a decent saint who didn't start out as a thief? Over verdant lowlands cut by the deep streamwaters of the south hangs a peculiar gloom. Every eye is stifled by the clouds that block the sight of the sun, every voice is muffled like the chirps of fleeing birds, every quasi-movement sluggish. Children must not laugh, no attention must be drawn to the fact that a man exists, one must not provoke the powers with frivolity—do nothing but prowl along, furtively, lowly. Maybe the Godhead had not yet struck its final blow, an unexpiated sin might still fester somewhere, perhaps there still lurked worms that needed to be crushed. Misdeeds that are repented no longer exist. Why won't the king of Denmark leave us our names? We have done nothing against him. We deserve no less respect than he does. My forefathers were kings of land and sea . . . Our skalds composed poetry and told stories in the language of King Óðinn himself, who came from Ásgarður when Europe still spoke the language of slaves. The glimmer continued to play about the vault of heaven. To the west one could see the roofs of nearby mansions and the tower of Our Lady's Church silhouetted against the dull red glow of embers in the darkness of the night. Night. Two Icelandic Jóns stagger waywardly through a burning city. The learned Grindavíkian is bawling like a child. The farmer from Rein plods silently behind. The fire of Copenhagen is at their heels, driving them on in the direction of Nørreport. The sea of flames turns terrified folk into frantic silhouettes, fleshly phantoms. Translated by Magnus Magnusson. Published by Second Chance Press. One of the first things I had been taught as a child was never to believe a single word that was written in newspapers. You have a faint education look about you. An educated girl never has an educated look. I cannot stand an educated look on women. It's Communism. Look at me, I passed my University entrance, but I don't show it. I have always felt that I was different from others. I felt it when I was small. I felt that there was a soul in me. I saw the world from a height of many thousand meters. Even when I was thrashed it was of no concern to me; I could tuck Reykjavik under my arm and go away with it. How much can one sacrifice for the sake of one's pride? Everything, of course—if one is proud enough. I stood in the middle of the room and began to study the pictures in the house. I had often looked at these ten- or even twenty-centimeter mountains which seemed to have been made sometimes of porridge, sometimes of bluish sago pudding, sometimes a mash of curds—sometimes even like an upturned bowl with Eiriks Glacier underneath; and I had never been able to understand where I was meant to be placed, because anyone who comes from the north and has lived opposite a mountain cannot understand a mountain in a picture in the south. The reason a man talks is to hide his thoughts. In actual fact, no man is honest when sober; in actual fact, you cannot believe a single word that a sober man says. I wish I were drunk myself. I swear—swear—swear: by everything which is and has been sacred to this nation from the beginning: Iceland shall not be sold. I could best believe that love was some sort of rubbish thought up by the romantic geniuses who were now going to start bellowing like cows, or even dying; at least, there is no mention of love in Njal's Saga, which is nevertheless better than any romantic literature. I had lived for twenty years with the best people in the country, my father and mother, and never heard love mentioned. This couple begat us children, certainly; but not from love; rather, as an element of the simple life of poor people who have no pastimes. On the other hand I had never heard a cross word pass between them all my life—but is that love? I hardly think so. I think love is a pastime amongst sterile folk in towns, and takes the place of the simple life. To walk home alone at night is a disaster, in novels. Some girls confuse the state of being in love and being lonely, and think they are the former when in fact they are the latter; in love with everyone and no one, just because they are without a man. Thank the Lord, we subsidize our own debauchery first of all before we subsidize the debauchery of others. So hopelessly incapable was I of understanding better folk that I did not even know how to keep a servile tongue in my head. In a flash there appeared before my mind the difference between the two worlds in which we lived, this woman and I; although I was staying under her roof we were such poles apart from one another that it was only with half justification possible to classify us together as human beings; we were both vertebrates, certainly, even mammals, but there all resemblance ended; any human society of which both of us were members was merely an empty phrase. There is no such thing as morality—only varingly expedient conventions. What to one race is a crime, is virtue to another; crime in one era is virtue in another; even a crime in one class of society is at the same time and in the same society virtue in another class . . . It makes no difference whether people are called good or bad; we are all here; now; there is only one world in existence, and in it there prevail either expedient or inexpedient conditions for those who are alive. It's a common saying that the children of children are fortune's favorites. He who weeps does not die; weeping is a sign of life; weep, and your life is worth something again. Dear darling Americans, Jesus let them come with the atom bomb quick. To explain God would be to have no God, my little one. One of the loveliest and most magnificent events that can happen in the country is when ponies take fright, particularly in a herd. A meadow-pippit has flown past. The ponies' fear is at first blended with play, even with mockery, amusement touched with a shudder, not unlike the behavior of the mentally ill. They trot as if they were retreating from a slow-moving stream of fire, but with lightning in every action, storm in every nerve; swinging their heads everywhere as if the front of their necks were made of elastic, gracefully flirting their tails. They can even pause for a moment, and start biting and boxing, with those romantic mating cries of theirs. Then all at once it is as if the fire has started flowing right under these strange creatures, they charge away like a storm incarnate over scree and bogs and landslides, dipping the tips of their toes for a fractional moment into the furnace that blazes beneath their hooves, cutting across waterfalls, gullys, and boulders, galloping steeply for a while until they stand trapped at last on some ledge high in the mountaintops, there to die and be eaten by birds. After further consideration, the herd of ponies had left off being frightened at all and had calmed down, and were now grazing in the home pastures, on the grass fields and gravel banks or in the home meadow close up to the farm. I stood at the window in that autumn light that makes the dead and the living more sharply discernible than the light of any other season. Yes, what a well-sculptured creature the pony is, so finely carved that even if there were no more than half a chisel stroke extra the workmanship would be ruined; that curve from neck to rump, and all the way down to the fetlock, is in actual fact a woman's curve; in the oblique-set eyes of these creatures lies buried a wisdom that is hidden from men but blended with the mockery of the idols; around the muzzle and the underlip hovers the smile that no cinema shark has ever been able to reproduce; and where is the female star who smells as wonderful as the nose of a pony? When the peace of autumn has become poetic instead of being taken for granted, the last day of the plover become a matter of personal regret, the pony become associated with the history of art and mythology, the evening ice-film on the farm stream become reminiscent of crystal, and the smoke from the chimney become a message to us from those who discovered fire—then the time has come to say goodbye . . . I had long begun to count the days until I could once again leave home, where I felt an alien, and go out into the alien world, where I was at home. But still I paused for a while over my thoughts of departure, and listened to the silence that had robbed the gods of sleep; and dusk sank slowly over the ponies. Dust, who is not dust? I am dust. But I am your Member of Parliament, nevertheless. The words themselves say least of all, if in fact they say anything; what really informs us is the inflection of the voice (and no less so if it is restrained), the breathing, the heartbeat, the muscles round the mouth and eyes, the dilation and conctraction of the pupils, the strength or the weakness in the knees, as well as the chain of mysterious reactions in the nerves and the secretions from hidden glands whose names one never knows even though one has read about them in books; all that is the essence of a conversation—the words are more or less incidental. All that you ask for, you shall have. Sell the country, bury bones. What else? Translated by Magnus Magnusson. Published in 2008 by Vintage Books. A wise man once said that next to losing its mother, there is nothing more healthy for a child than to lose its father. And though I would never subscribe to such a statement wholeheartedly, I would be the last person to reject it out of hand. For my own part, I would express such a doctrine without any suggestion of bitterness against the world, or rather without the hurt which the mere sound of the words implies. It goes without saying that if there were anything happening in the room you never heard the clock at all, no more than if it did not exist; but when all was quiet and the visitors had gone and the table had been cleared and the door shut, then it would start up again, as steady as ever; and if you listened hard enough you could sometimes make out a singing note in its workings, or something very like an echo. When my grandfather was born there were barely two thousand people living in the capital; in my own childhood there were nearly five thousand. In grandfather's childhood the only people who counted were a few government officials and a few foreign merchants, mainly Jews from Schleswig and Holstein who spoke Low German and called themselves Danes . . . The rest of the town's inhabitants were cottagers who went out to the fishing and sometimes owned a small share in a cow, or had a few sheep. They had little rowing-boats, on which they could sometimes hoist a sail. These problems never seemed to baffle my grandfather nor cause him any anxiety; difficulties which in most people's eyes would have led to endless complications were disposed of by my grandfather almost without thinking, with the easy assurance of a sleepwalker who strolls along a ledge halfway down a hundred-foot precipice—yes, I am tempted to say with the same disregard for the laws of nature as a ghost passing through locked doors. I have no idea whether my grandfather took notice of everything in it, or nothing. If he believed at all, he was just like those theologians who store their theology somewhere in a locked compartment of the brain, or rather, perhaps, like those travelers who carry a bottle of iodine in their luggage and take care to keep it tightly corked in case it leaks and ruins their belongings. To be honest, I think my grandfather Björn of Brekkukot would not have been significantly different if he had lived here in Iceland in pagan times, or if his home had been somewhere in the world where people never read from Vídalín's Book of Sermons but believed instead in the bull Apis, or the god Ra, or the bird Colibri . . . . "A Bible that costs half a hen? Pshaw!" When someone from Skagafjörður was settled comfortably against our gable-wall and was launched on to the Úlfar-rímur set to a Skagafjörður chant, with that obligatory opening about King Cyrus, there opened up before us a whole wide world of heroic poetry all the way to the Orient, fitfully lit by strange flashes of illumination. I hope that famous critics will not class me with certain devotees of death and doom if I say here that I think that funerals in our churchyard gave me more entertainment than most other things when I was a little boy. My mother once sent me out to buy pepper, and I have not returned home yet. Learn never to look forward to anything. It is the beginning of knowing how to endure everything. A tiny light had been lit in a cottage on Álftanes; probably someone was going out fishing. Often there was frost and frozen snow, and the ice creaked in the night. Somewhere out in the infinite distance lay the spring, at least in God's mind, like the babies that are not yet conceived in the mother's womb. I wonder what my grandfather Björn of Brekkukot really thought what Latin was? Did he think it was the magic Sesame which opened all cliffs in Iceland? If so, I am not at all sure that he was all that far from the truth. Where fish leaves off in Iceland, Latin takes over. I have been told that at school I was the sort of simpleton who suffered from dux-disease. It is reckoned in Iceland that those who are afflicted by this disease can never become anything other than drunkards, journalists, or junior clerks . . . I was spiritually as well as physically in a state of suspended adolescence. Lessons came welling up out of me as if I were talking in my sleep. I could reel off the bones in a dog at the drop of a hat, any time at all, just as if I had them in my pockets; if I had been woken up at three o'clock in the morning, I would have detailed each and every one of them, just as if I had been lying on them. Some voices never manage to break properly. But in all good men there lurks a true note, I won't say like a mouse in a trap, but rather like a mouse between wall and wainscoting. You asked me whether you could learn to sing. I don't know. It could well be that you have the makings of a singer. It could well be that the world will give you the best that it has: glory, power, honor, what else is there? Palaces and parks, perhaps? Or merry meadows? And then what? I say, and have always said, and will always say: the fish that does not sing throughout the whole world is a dead fish. Listen, don't look so depressed, old fellow. This is what all of Heine's poems are like, it's only peasants who don't laugh at them; or rather, perhaps, Calvinists. Abroad, it's the normal practice that if someone is looking really sad in the street, a horde of fat men comes running over waving checkbooks and hire him for a circus; they teach people like that to ride a bicycle that disintegrates when they try to mount it, or else make them play a stringless fiddle with a broomstick. People have kept on asking me: did he sing well? I reply, the world is a song, but we do not know whether it is a good song because we have nothing to compare it with. Slow good luck is best. At this time, Icelanders were said to be the poorest people in Europe, just as their fathers and grandfathers and great-grandfathers had been, all the way back to the earliest settlers; but they believed that many long centuries ago there had been a Golden Age in Iceland, when Icelanders had not been mere farmers and fisherman as they were now, but royal-born heroes and poets who owned weapons, gold, and ships. A good pony can occur on a farm once in a generation, with luck; but on some farms, never in a thousand years. From the sea, beyond the sands and marshes, for a thousand years, the murmur was always the same. Since when has America with all its hordes of gangsters and beggars become God's Kingdom? My name is Steinar Steinsson, from Hlíðar in Steinahlíðar. I bid the king welcome to Iceland. We are of the same kin, according to the genealogy which Bjarni Guðmundsson of Fuglavík prepared for my grandfather. I am of Jutland origin, descended from King Harald Hilditönn, who fought the battle of Brávellir. Three things, according to poets, are considered bliss in Iceland: hot rye-cakes, plump girls, and cold buttermilk. Good news travels slowly but arrives in the end, thank goodness. Bad news always arrives a day too soon. The faithful say that with such a mouth did God speak to the Church Fathers. The acoustics are so remarkable that if the name of the Lord is whispered at the altar it can be heard as a shout at the door. 'This is the place' is what the divinely-inspired leader is reported to have said when Salt Lake Valley opened out before the slavering oxen with blood on their hooves and the men who had managed to cross the wilderness even though their children and sweethearts still tarried in the sand. Sometimes I have the feeling that I am dead and have come to the land of eternity. Of such a land it says in a hymn I once knew, that there stood a wondrous palace on pillars, inlaid with gold and brighter than the sun . . . When I now look back across the ocean to the land whence I came, I glimpse behind me a sparse and barren coast . . . There stands my family, and looks sorrowing out to sea. Anyone who doesn't know others doesn't know himself. It makes no difference where one sleeps in God's City of Zion, the air is everywhere just as all-embracingly pleasing. Mine is a bad doctrine. And, what's more, I cannot substantiate my doctrine. The man who has the best doctrine is the one who can prove that he has the most to eat; and good shoes. I have neither, and live in a dugout. In the end one is no longer sure which is the greatest evildoer, the man who gets up early or the man who goes to bed late. How wonderful it can be, and what nobility it proves in young men, when they pledge one another a friendship that can never be shadowed by selfishness, envy, or jealousy. When my daughter wakes up on her first morning in God's City of Zion, the sun will rise over Sierra Benida and shine upon the saints: the sun of the All-Wisdom; the sun of the Beehive, the Sego-lily, and Seagull . . . My son will understand that Egill Skallagrímsson and the Norse kings live here in Spanish Fork, but that they now have the gleam of righteousness in their eyes and have become leaders in the Stake, Seventies, and High Priests. For every day that God gives us, we thank the Lord of Hosts and His friend the Prophet, the latter of whom instituted here on earth a life of loveliness without envy or jealousy . . . We shall not give up this our life of loveliness, as long as we live, however much we are oppressed by the Government and its troops and policemen, its Congress and Senate, orators, newspaper scribes and authors, professors and paltry bishops, and even the antichrist himself, the Pope. No power on earth will succeed in preventing us from accomplishing God's sacred ordinances, as regards polygamy no less than all the other aspects that God has revealed to us. Polygamy as long as we live, say we women of Latter-Day Saints; polygamy or death! The people with whom I grew up in the Vestmannaeyjar carried heaven within themselves; even if it was sixty fathoms at the end of a rope down a cliff, fowling, they were at home in God's City of Zion. Translated by Magnus Magnusson. Published in 2004 by Vintage Books. It's an old saying that one still has to know something, despite everything. The first thing is to have the will; the rest is technique. It's strange that all birds don't fly in the same way . . . I've heard that the wings of aeroplanes all conform to the same formula, whereas birds each conform to a formula of their own . . . All birds are perhaps a little wrong, because an absolute once-and-for-all formula for a bird has never been found, just as all novels are bad because the correct formula for a novel has never been found. Postscript: It's a dangerous mission for Lapps, said Ingimundur the Old's Finns in Vatnsdœla Saga, when he sent them on a magic journey to explore Iceland. One poor little part-time tutor from the south has no motorway to guide him when he finds himself in the footsteps of the extraordinary Otto Lidenbrock, who years ago went looking for the Icelander Árni Saknússemm. Professor Lidenbrock followed the trail of this philosopher and alchemist down the crater on Snæfellsjökull all the way to the center of the earth . . . Perhaps the poor part-time tutor who writes this has yet to go through the center of the earth before Christianity at Glacier is fully explored. But where shall I come up? The mountain reminds one of an upturned earthenware bowl, the glazing a little bluish at times, but sometimes like gold-rimmed transparent Chinese porcelain, especially if the sun is low in the west over the sea, because then the rays play on the glacier in two directions. I was hoping the bishop would be coming himself. He's a terribly agreeable old chap. I always find it so enjoyable to blether with the old fellow. We don't agree about anything. But everything depends on agreeing to disagree. Oh no, better to be silent. That is what the glacier does. That is what the lilies of the field do. No one is so busy that he hasn't the time to dismantle a work of art. As a matter of fact, others are ready to help. There is for instance the Weather; and there is the Law of Gravity; and last but not least, Time. These are tough fellows. Night and day, always at it. And at it still. No one is a match for them. When I discovered that history is a fable, and a poor one at that, I started looking for a better fable, and found theology. It's a pity we don't whistle at one another, like birds. Words are misleading. I do not see how the Creation can be turned into words, let alone letters, hardly even a fiction. History is always entirely different to what has happened. The facts are all fled from you before you start the story. History is simply a fact on its own. And the closer you try to approach the facts through history, the deeper you sink into fiction. The difference between a novelist and a historian is this: that the former tells lies deliberately and for the fun of it; the historian tells lies in his simplicity and imagines he is telling the truth. Often I think the Almighty is like a snow bunting abandoned in all weathers. Such a bird is about the weight of a postage stamp. Yet he does not blow away when he stands in the open in a tempest . . . He wields this fragile head against the gale, with his beak to the ground, wings folded close to his sides and his tail pointing upwards; and the wind can get no hold on him, and cleaves. Of all the creatures that man kills for his amusement there is only one that he kills out of hatred—other men. Man hates nothing as much as himself. That is why war is called the leprosy of the human soul. And when I say the world is governed by nothing but demons, who will continue to be demons until they have destroyed the world, I am not using profanities; on the contrary, demon is a scientific term, a formula covering a specific chemical composition without connotations from politics, religion, or moral philosophy . . . . Here among us on the lowest rung of the world of life, no attention is paid to books unless they are written by chemically analyzed demons, or at least for them. Poets and philosophers are respected in proportion to the contempt and disgust they feel for the creation of life. Give this day our daily war is the prayer of those who govern countries. Kill, kill, said the outlaw Skuggasveinn . . . Philosophy and theology have no effect on him, much less plain common sense. Impossible to convince this man by arguments. But humor he always listens to, even though it be ill humor. A typical Icelander, perhaps. It is a waste of words to try to impute to the Creator democratic ideas or social virtues; or to think that one can move Him with weeping and wailing, and persuade Him with logic and legal quibbles. Nothing is so pointless as words. One asks and asks and always the answers become more incomprehensible than the question. In the end one becomes an idiot. Human beings are constantly inventing new ways of maltreating one other. C'est la vie. There is no other Úa than the one who has always lived with me and never gone from me for a single moment. She is closer to me than the flower of the field and the light of the glacier, because she is fused with my own breath. The one thing that remains is what lives deepest within yourself, even though you glide from one galaxy to another. Nothing can change that. And now let us have more shark meat. This page was last edited on 30 July 2018, at 09:01.